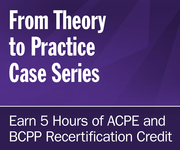 Earn 100 hours of continuing education credit provided by a professional development program approved by BPS. 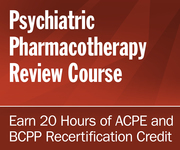 The only BPS certified provider of BCPP recertification education is the College of Psychiatric and Neurologic Pharmacists (CPNP) offering the following 5 products annually in the ACPE and BCPP Recertification credit increments noted. 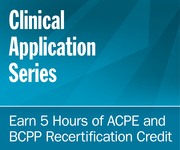 Please note, candidates who become board certified and recertified must wait until the following calendar year to begin accumulating CE hours for recertification. Advanced registration is open. Course materials and exam not available until release date. * NOTE: The Examination Review and Recertification Course is a two-year product released at the start of even years (2018, 2020...). 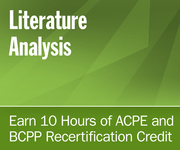 Given this revision cycle, individuals cannot repeat the current edition of the Review Course for BCPP Recertification or ACPE credit. † Recertification credit is earned during the calendar year that the exam is finalized. 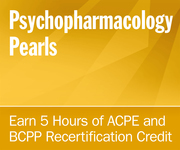 For example, the 2018 Psychopharmacology Pearls could be used for 2018 credit if completed by 12/31/2018 or for 2019 credit if completed after 1/1/2019. In this way, there are technically 10 additional hours available in the above 7-year cycle due to prior year products that remain open.